Hello! Here's another card that I made using some more of the newest Lil' Inker Designs goodies! I cut two of the Anytime Tags out of patterned paper and then embossed the sentiment from the Stay Beautiful Stamp Set with Zing Aqua Embossing Powder. The bow was tied with some scrap fabric I had on hand. I love the texture that the fabric adds. It's hard to tell from the photo, but my yellow striped frame on the card base is a window that I cut using the Stitched Mats: Rectangles die. Thank you for visiting today! I hope you are all having a great day! Today I am participating in the February PTI Blog Hop Challenge. The challenge this month was to create something with a Spring theme. I used the Circle Scribbles set to make my flowers and added in some greenery from the Mini Blooms set (I liked it better prior to the green being added, oh well!). I stamped the back side of the scribbles to make the solid images and then embossed the scribbles on top in three different colors. The "green" flowers are actually yellow but I had a hard time picking up that color in my photo. I used the Tipped Top dies to cut my white panel and then trimmed the access off of the side. I embossed the Sweet Speech bubble with aqua embossing powder and popped it up with dimensionals. I made another card for this challenge but you know how you start playing around and before you know it the card is finished and you realize that it doesn't fit the theme of the challenge at all? Yeah, that happened to me this time around so I started over. :) This was the card that I ended up with. Thanks for stopping by! You can join in the fun today too if you'd like! Pop on over to Nichole's blog for more details! I made this card for the last Lil' Inker Designs release but never shared it. I thought it was about time to do so! 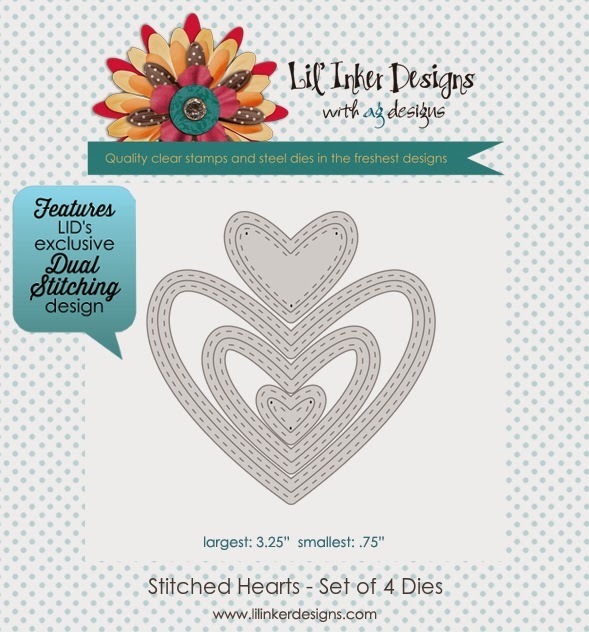 I LOVE these new dual stitched hearts dies! Here I stacked the three largest sizes on a monochromatic cardstocks. The sentiment is from the fun "It's Today Right?" stamp set. I love the font for the sentiment! Here's a closeup of the stacked hearts. The tiniest hearts I attached with glue dots to the card front. Thank you for visiting! I hope you have a wonderful day! I placed a PTI order this month. I haven't done that in quite a while but I really, really liked some of the products that were released this month! Today I had a short time to sit down and create and I pulled out my favorite set from the release, Circle Scribbles. I knew what I wanted to do with this set from the moment I saw the first preview. I used the scribbles to make "flowers" of sort. I used the back side of the stamp that is usually against the block to stamp the solid images. Then, I flipped the stamp over to the "right" side and stamped each of the images with VersaMark ink and then embossed with gold embossing powder. I love how the gold looks embossed on top and how the solid images look water colored. 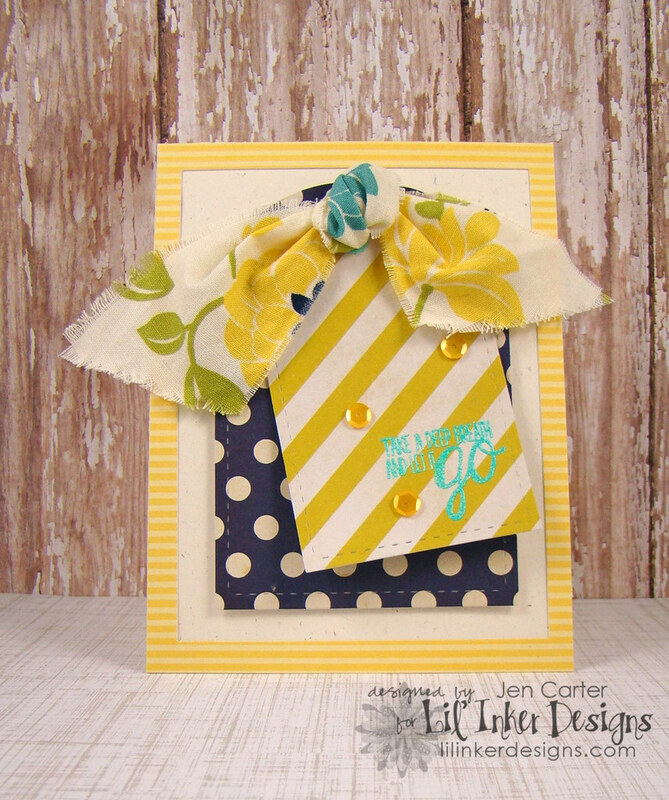 The sentiments are from the Building Blocks set which I think is a great way to stack sentiments for a different look! This week Lil' Inker Designs is sponsoring the Curtain Call Challenge and I'm just now getting around to posting my card for it! The inspiration photo for this week's challenge just screamed to be used with the Circles & Diamonds Stitched Pattern Die & Darling Diamonds stamp set. And, since this is the set I helped come to life, it holds a near and dear place in my heart. The sentiment comes from the Stay Beautiful stamp set. If you'd like to play along,, you could win a $30 gift certificate to the LID store!! Welcome back to another PTI Birthday challenge post! Today it was all about stripes. The challenge was to make a card that incorporates stripes in any way. As soon as I heard about this challenge I knew right away where I would start! Lil' Inker Designs released Cover Up Die: Stitches & Stripes a few months ago and I couldn't think of anything better to use for this challenge! I started out by cutting my LID Cover Up Die: Stitches & Stripes with my current favorite color of cardstock from Michaels called Sugar Candy. I adhered that on my card base (and unfortunately tore it as I was finishing lining it up, but please ignore that). I love the stitches on this plate! Such a wonderful, wonderful detail! I stamped the sentiment from PTI's Stylish Sentiments: Birthday on Soft Stone cardstock with Berry Sorbet ink. I then added a black Turning a New Leaf (PTI) die cut and adhered three buttons in mint & yellow on top tied with twine & floss. Thank you so much for visiting! I hope you have a wonderful day! Welcome to my Crafty Peeps Card Kit Club post! This month the kit came from Joan and she filled it full of wonderful supplies! I made three cards using the contents with the kit! First up is my favorite of the three. I really like the gold trend right now and throw in some stripes and I'm really happy, lol! Joan had some wonderful striped washi tape paper and that is what I used for the striped part of this card! Isn't it lovely? She also included some wood hearts. I took one and embossed it with gold embossing powder. Talk about packing a punch! I added in some flat gold sequins to finish the card off. This card was based on Retro Sketches' Sketch #101. Next up is this "Love You" card. I really liked this patterned paper that Joan sent and it paired up nicely with the blueish gray card base that she also included. I die cut the "Love" with PTI Headline Alphabet letter dies, tilting the "V" for an artistic look. I stamped the heart (from PTI Heart Prints) in between the letters and at the bottom of the card with PTI Autumn Rose ink. The "you" is from Simon Says Stamp. I'm entering this into the PTI challenge for today to use a large word as a focal point. My last card uses three of the various washi tapes Joan included. What a fun option! After using my Lil' Inker Designs Stitched Mats: Rectangles to make the stitching around the card base, I added the washi tape. I stacked two more of the wood/chipboard hearts. I colored the hollowed center one black with my ink pad and then used Heart Prints (PTI) to stamp the pattern onto the other heart. The sentiment is from PTI's Love & Marriage set. I'm also linking these cards up to the Simon Says Stamp Have a Heart Challenge! Thanks Joan for sending such a fun set! I enjoyed working with this kit! If you'd like to see what Leigh did with this kit, visit her blog here! Stopping in with another PTI Birthday Celebration Card. It's almost time for Bunko, so this post will be super quick! Our challenge this time around was to make a birthday card using any of the inspiration we have received this week through the countdown posts. I chose to work with one of the previous card sketches. For this card I used Aqua Mist, Terracotta Tile, Rustic White & Melon Berry card stocks. I cut the heart out of the speech bubble and then popped the speech bubble up with dimensionals. I also popped up the heart but with only 1/2 the dimension as the speech bubble. The sentiment was stamped with Amuse Fern Ink and the patterned paper is from the Simple Stories Daily Grind collection. Hello! It's time for another PTI birthday challenge! This time the challenge was to pick 7 supplies in 7 minutes and then to make a card using only those 7 products (adhesive doesn't count) in 17 minutes. My daughter has a great Kindergarten teacher this year! She loves her so much and is learning tons! I thought a nice card for her would be a great way to go. Super simple but I like how it turned out! I did end up swapping out one of the stamp sets for the Linen Impression Plate about 1/2 way through. 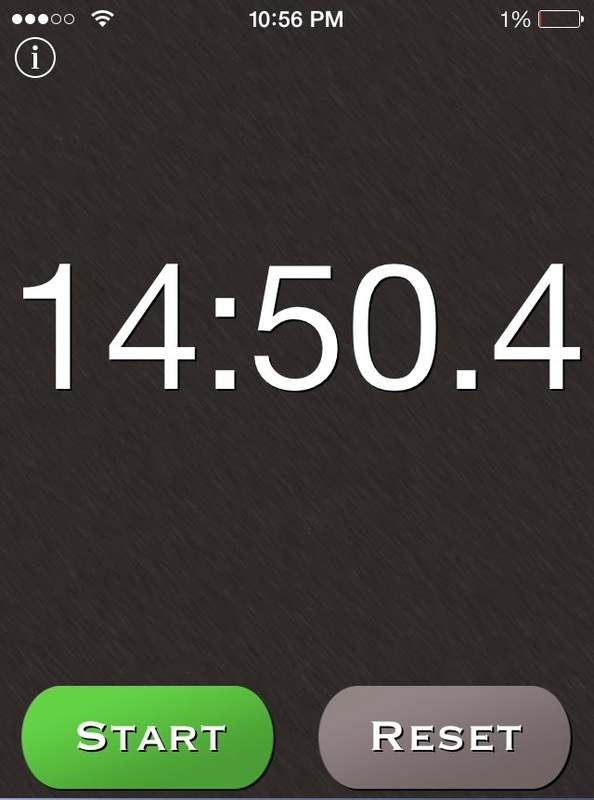 Under 17 minutes! It looks like I need to recharge my phone! Hello! I have a very quick post for today! PTI's birthday contest today is to make a card using one of the provided digital images. I chose the image by Heather. I put Crystal Stickles on the three little hearts and the way it photographed it looks funny, but in real life it is pretty and sparkly! Hello! Well, after two snow days, it's back to work today! But, we go in an hour late and since I usually work 1/2 days that makes my morning nice & short! Yesterday, I took some time and added new stamps for sale in my Stamps for Sale tab above! 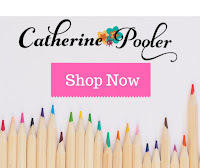 To see what I have available, be sure to click here or click on the tab at the top of my blog! Papertrey Ink is celebrating their 7th Birthday this month and they are hosting some challenges. The first one is a sketch & color challenge. Can you see why the colors inspired me? They are some of my favorites! The "challenge" to me was adding the Scarlet Jewel in to the mix and so I stamped the sentiment and some of the smaller dots in that color. I love how they all worked together! To create the stripes, I masked off the sides using post-it notes. I may have to make a few more of these to have on hand! 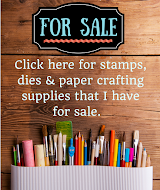 I have added new stamp sets to my Stamps for Sale tab at the top of my page! If you click here you can see all of the items available! There's lots more not listed here, so be sure to visit my Sale tab above or click here! Lil' Inker Designs Release: Best. Move. Ever. 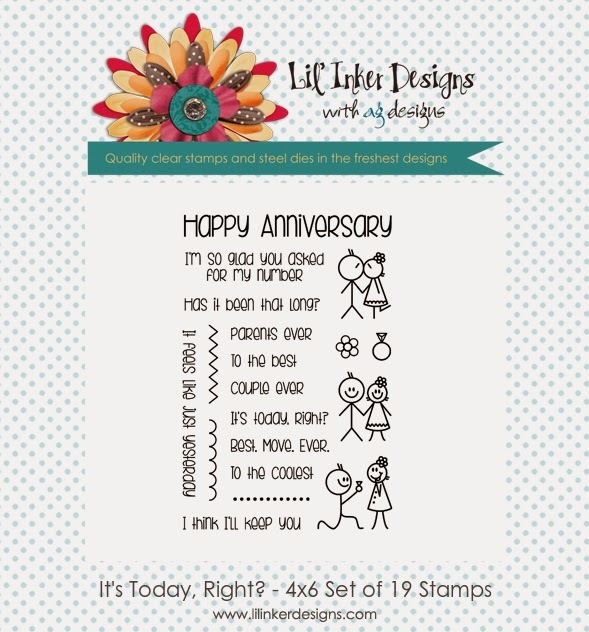 Welcome to the last day of Lil' Inker Designs release celebration! If you are following along in the blog hop, you should have come from Heather Campbell's blog! If you'd like to start at the beginning of the hop, visit Laura's blog. There are prizes up for grabs! To be eligible to win, just leave a comment along the hop. The more comments you leave, the better your chances are of winning! I have two cards to share today. First up is this card featuring several sizes of the new Stitched Hearts dies. These dies are so cool because they have the dual stitching on both the die cut and the negative space! Here's a closer look at the stitching on the 3 sizes of hearts I used here. The "Love" was embossed in gold and is from a previously released sentiment set called Love Things. Laura designed a fun new set called "It's Today, Right?" 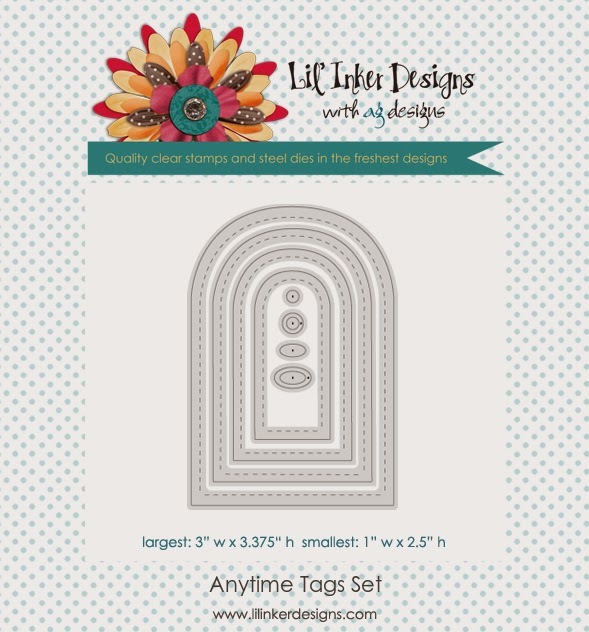 I stamped one of the images on to a tag that was die cut from the new tag set called Anytime Tag Set. The sentiment, from the same set, was embossed in silver. I added a sparkly mini bow and then attached the whole thing to the larger Anytime Tag die cut shape. Thanks for visiting this week! I hope you'll hop on over to Karen's blog! Don't forget to leave a comment for your chance to win a great prize from the LID store! ****This is my second post today. Hey!! I hope you are doing well and staying warm! We are having a lot of snow right now. My husband just shoveled the sidewalks and driveway and no sooner is he finished than it is covered again. Good news...NO school today so the kids and I are home! Yippee! So, you know what that means...time to stamp! I listed quite a few new stamp sets & some Amuse/Fresh Ink Pads that I have for sale today in my Stamps for Sale tab above. Be sure to check them out! WPlus9 is having their 4th Birthday Celebration and I made a card to play in their first challenge which is "Comfort Zone". We were asked to make a card in our signature style using our favorites. I chose my all time favorite WPlus9 stamp set, a favorite new layout and a favorite new color combo! I can't even tell you how many pictures of this card I took before I got one that you could see OK! Since I chose to stamp the sentiment in a light mint colored ink it was hard to capture in the picture. This was my first set from WPlus9 and I still love it! Thanks for joining me today! Have a great day! 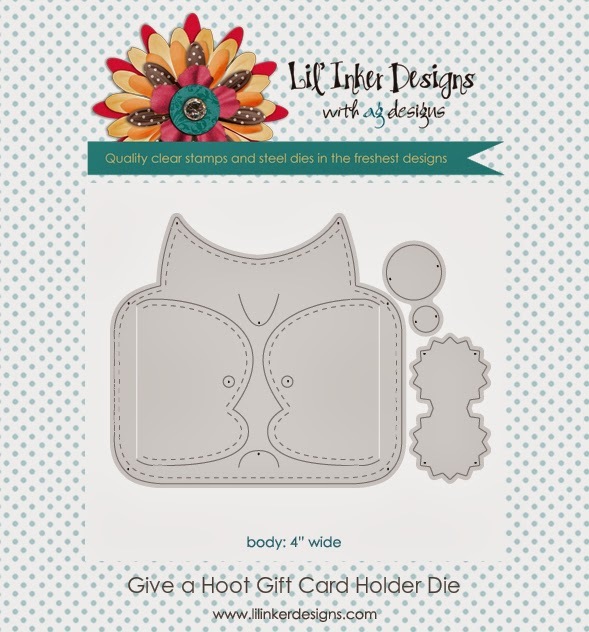 Welcome to Day 2 of the Lil' Inker Designs Release! What did you think of what you saw yesterday? Fabulous products aren't they? 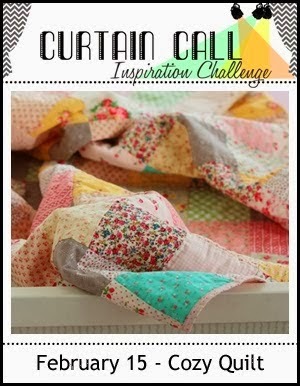 :) If you are following along in the blog hop, you should have come from Heather Campbell's blog! If you'd like to start at the beginning of the hop, visit Laura's blog. There are prizes up for grabs! To be eligible to win, just leave a comment along the hop. The more comments you leave, the better your chances are of winning! This card features a new set of dies that many of you have been waiting for! Yep, you guessed it Stitched Hearts! They feature LID's exclusive dual stitching which is SO cool! It makes the versatility of these dies so much greater! For this card I used the previously released Connected Circles Die and the smallest Stitched Hearts die to cut out the hearts in the circles. I put patterned paper under the hearts to peek out. The sentiment fits perfectly on the card mat and it is from the new stamp set called Stay Beautiful. The hearts next to the sentiment are from the same set. This next card is bright & cheery, just like I like them! 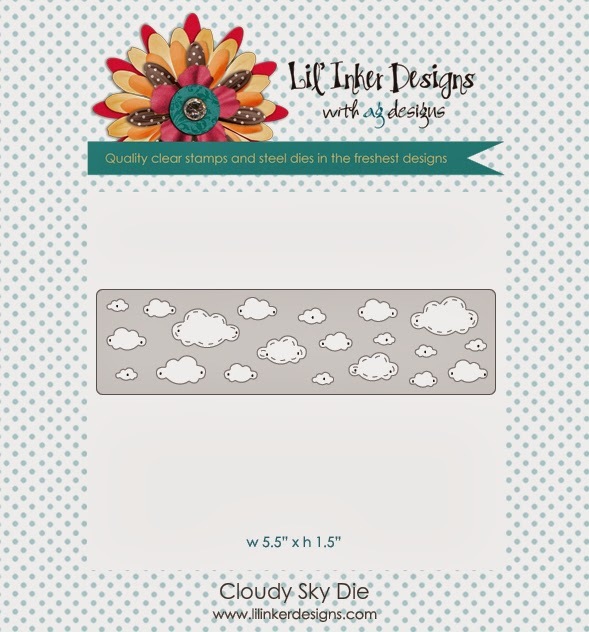 I started by taking a piece of white cardstock and using the new Cloudy Sky Die to impress the clouds onto white cardstock. I then used the wonderful new Anytime Tags to cut out the tag shape. I really like these tags because Laura was so smart to make the holes for the tags separate so that you can use these as a frame or as a tag with or without the holes cut out! I LOVE that! I then stamped my sentiment from the Stay Beautiful stamp set. Here you can see how the clouds look impressed into the tag. I really like how some of the clouds have the stitches around them and some don't. I added a couple of LID's wonderful stitched Cloud dies and LID's Stitched Sun die Large. This was all adhered to the mat cut with a Stitched Mats: Rectangle die. That's it for me today! Thanks for stopping by! It's time to hop on over to Karen's blog! Don't forget to leave a comment for your chance to win a great prize from the LID store! And come back tomorrow for one more day featuring the newest LID release products! Hello everyone! 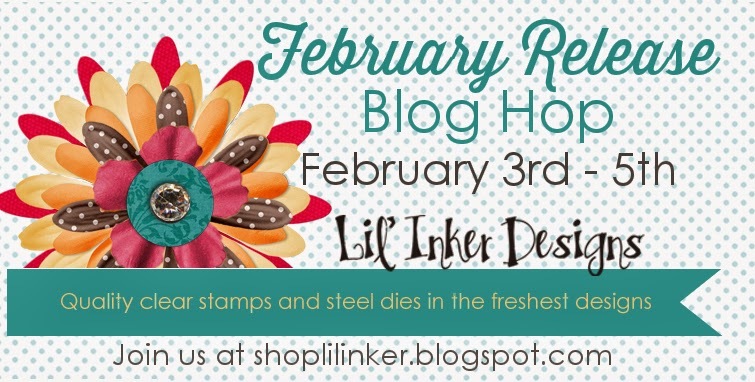 Welcome to the Lil' Inker Designs new release blog hop! I have had so much fun playing around with these products! I know you're going to enjoy them! They are FUN! 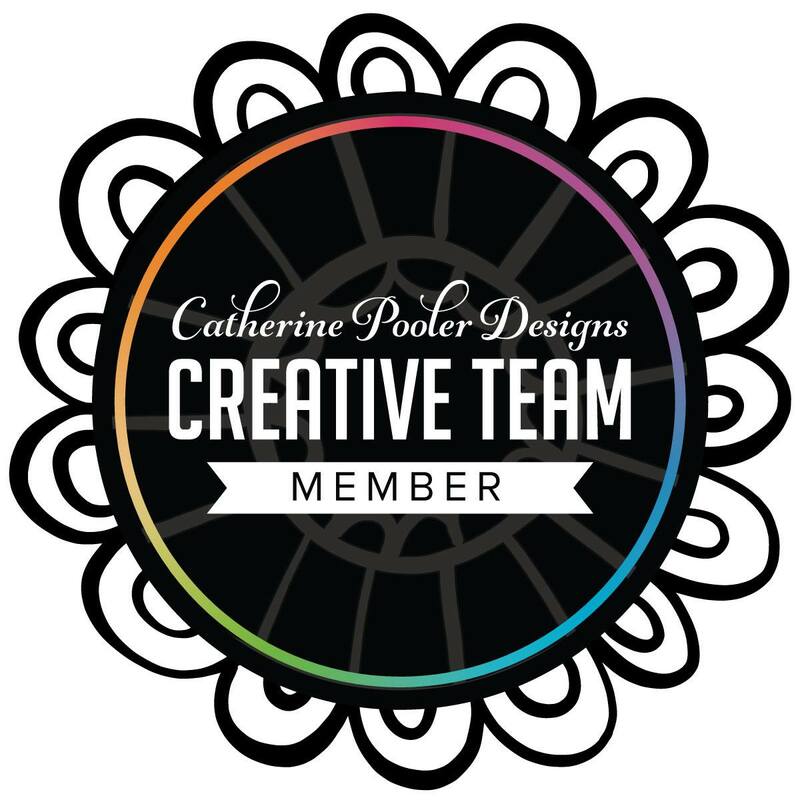 If you are following along in the blog hop, you should have come from one of our newest team member's blogs, Heather Campbell! If you'd like to start at the beginning of the hop, visit Laura's blog. There are prizes up for grabs! To be eligible to win, just leave a comment along the hop. The more comments you leave, the better your chances are of winning! I happen to really like owls so when I saw this first product I'm going to share today I was pretty excited! When I was looking for inspiration for the owl die, I came across this photo which inspired my card. Those little clouds you see? That is from a fabulous new die called "Cloudy Sky Die". I love it! The die cuts out several sizes of clouds, some stitched, some not, some tiny, some larger! You can use this die so many ways! For this card I also used it as an impression plate. It worked fabulously and I'll share another card later this week that also features the die used as a cover plate. The sentiment on the front is from Birthday Owl set. Here you can see the impression a little closer. The circle was die cut with LID's fabulous Stitched Mats: Circles die. Now...what is on the inside? Surprise! Isn't that owl the cutest? There are so many different ways to use this die! It is actually made to be used as a gift card holder all by itself, but it works very well inside the card too! I die cut the owl body twice. Once with the orange cardstock and once with patterned paper. I also die cut just the nose part on another piece of patterned paper and then pieced it all together. I did add a little "hinge" to the wings to work on the card which you'll see better in the next photo. The balloons were die cut with the Balloon Dies and the string stamped with the Balloon Builders Stamp Set. Here's a closeup of the owl. For the inside you have several options, which I love! You can insert a gift card here or a note that you've stamped. I found that the Lil' Inker Notebook Die fits PERFECTLY inside! YAY!! And it matched perfectly with the patterned paper I used for the owl wings on the front. The Celebrate sentiment was embossed and then the Have Some Fun was stamped underneath still leaving enough room to write a personal message. Thanks for joining us today! It's time to hop on over to Karen's blog! 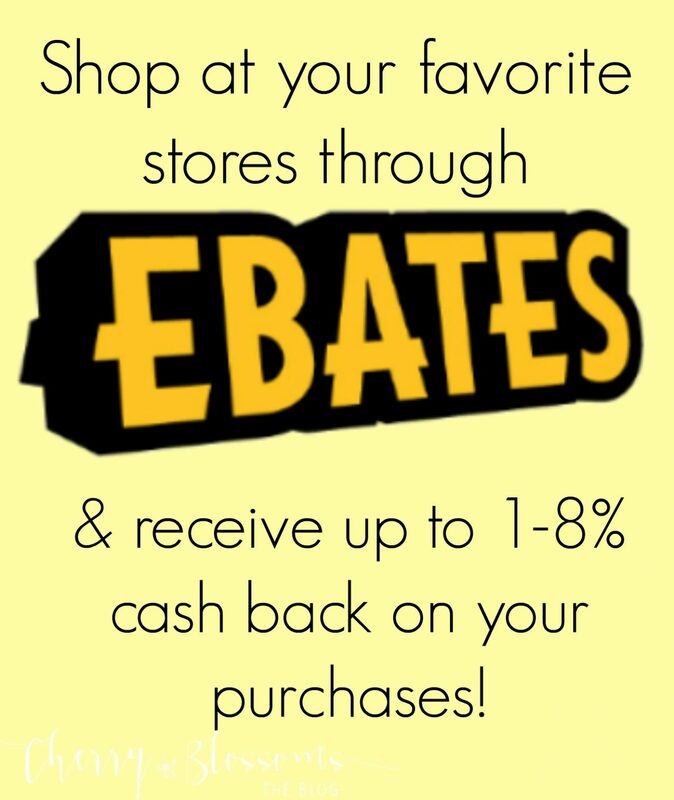 Don't forget to leave a comment for your chance to win a great prize from the LID store!